Just days before the launch of RuPaul’s Drag Race season 11, contestant Brooke Lynn Hytes has been forced to apologise for a blackface Instagram post. 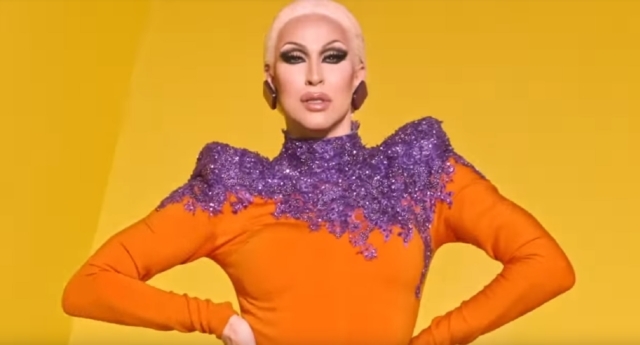 Brooke Lynn Hytes, one of the 15 new queens taking part in the upcoming season of the drag reality show, has come under fire over the resurfaced post from 2013. In the 2013 post to her Instagram page, the Canadian drag star posed with Toronto performer Daytona B***h, who is in blackface. The post resurfaced ahead of the RuPaul’s Drag Race season 11 premiere on February 28, forcing the drag star to issue an apology. In a public statement on Instagram, Brooke Lynn Hytes said: “It recently came to my attention that an old photo of me with another drag queen who is in blackface surfaced. “This post was irresponsible on my part; it was rooted in ignorance and came from a place of naivety and privilege. The post from 2013 appears to have now been deleted. The drag star contined: “I absolutely do not condone any form of racism, including but not limited to blackface, and it saddens me to think about how I have contributed to these harmful ideals in the past. Daytona B***h, the drag star posing with Brooke Lynn Hytes in the post, was fired from Toronto Pride in 2013 after controversy over her blackface performances. The photos first resurfaced on Reddit, where Drag Race fans hit out at “racist tom-foolery” from the reality star.